As many of you know, this is the time of year when there are holiday baskets galore. Most of the ones I receive are filled with desserts or other treats that are easy to share with the office. This year, I received a really nice change of pace from one of my research partners– a bottle of wine and gourmet pastas and sauces. Since it’s tricky to share dried pasta with the office, I left the bottle of wine there and took home the loot for some fun dinners. A couple quick notes. 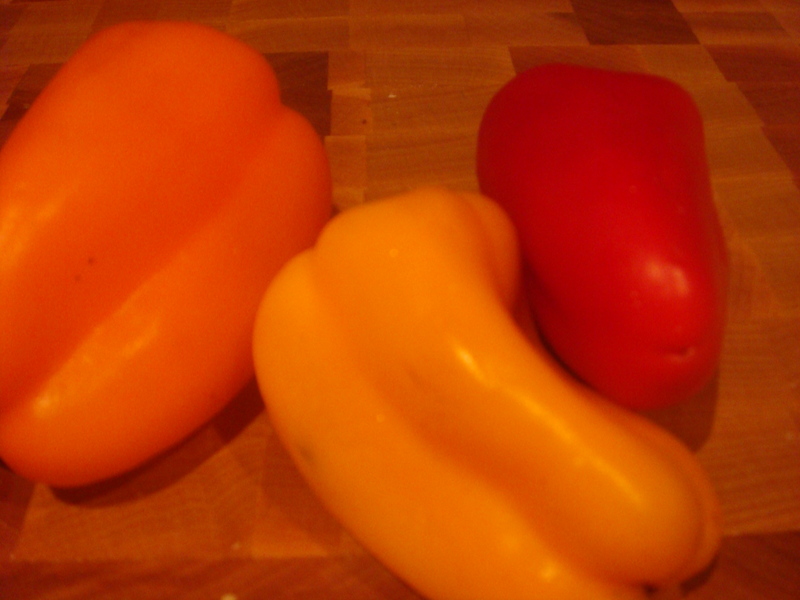 First of all mini bell peppers are something I’ve discovered recently and they’re great because you can put 3 colors in your dish without having to store a bunch of partially used peppers (I don’t know if you have this issue… but I often need less than 1 pepper for dinner for 2). Second thing I want to talk about is the sausage. I had some chicken and apple sausage from Fresh Direct. 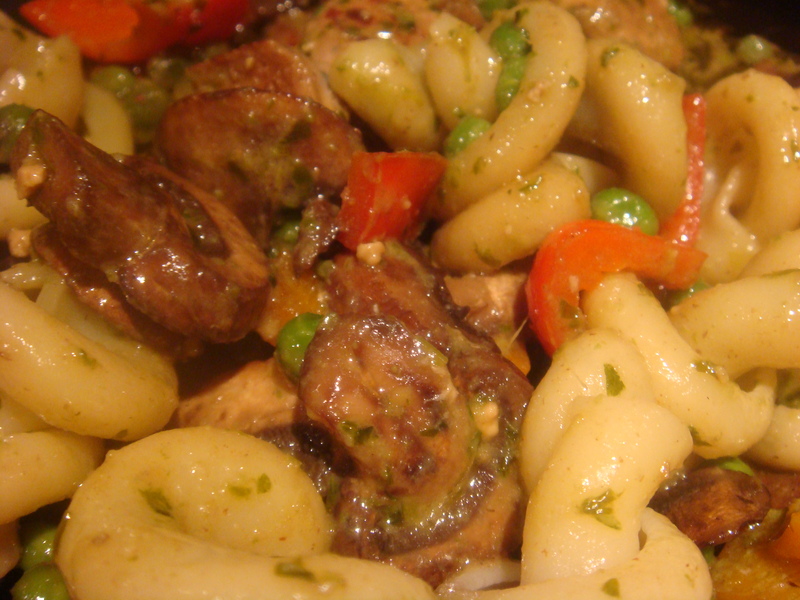 I thought it would go well with the pesto because it was a little sweet without being too overpowering a flavor. My alternate suggestions are basically other proteins whose flavors would not overpower the pesto. This dish is pretty interesting because unlike most of my other recipes, the only spice I added was garlic salt. The rest of the dish is flavored by the sausage and the pesto. I’ve heard from many people that the trickiest thing about cooking is getting the timing right. This is a great recipe to start with because you don’t have to worry about timing, it just works out! Fill a medium size pot about half full with water and bring to a boil. While that’s coming to a boil heat some olive oil in a large skillet and brown the mushrooms. Sprinkle them with 1/2 tsp garlic salt to help them brown and release their water. Once mushrooms are browned and cooked (about 10 minutes) remove them from the pan and set aside. Around this time the water will be boiling. Add the pasta and cook according to package directions. 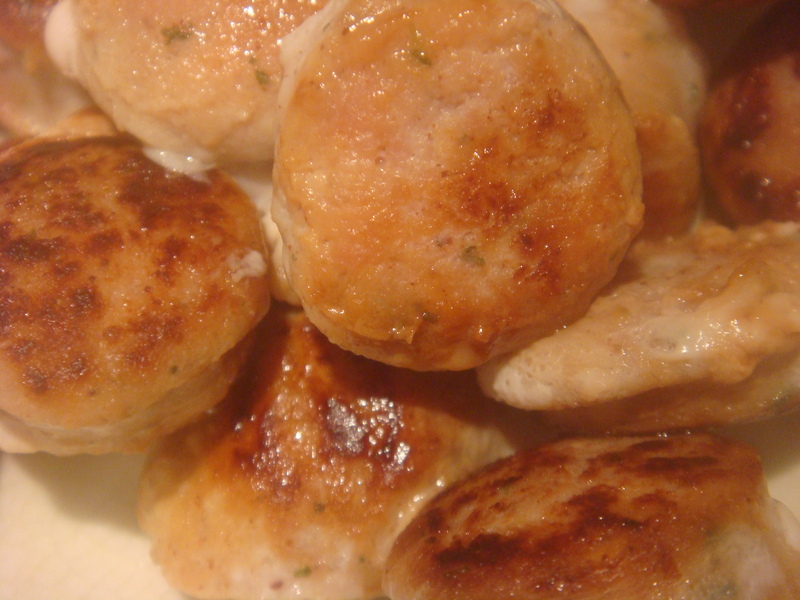 Slice the sausage into 1 inch coins and cook them, covered, in the pan for about 3 minutes. Flip, re-cover, and let them finish cooking for another 2-3 minutes. Remove them from the pan. 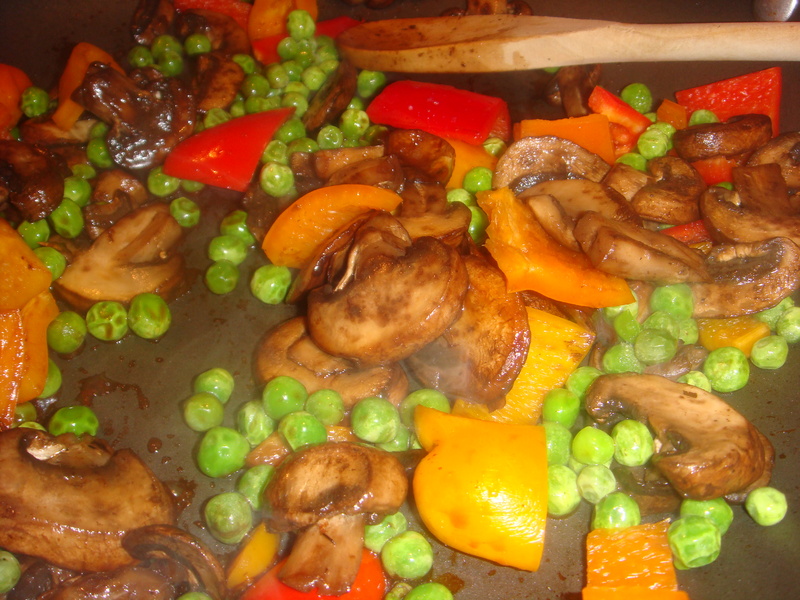 Add the mushrooms back to the pan with the diced mini bell peppers and frozen peas and let them heat through. 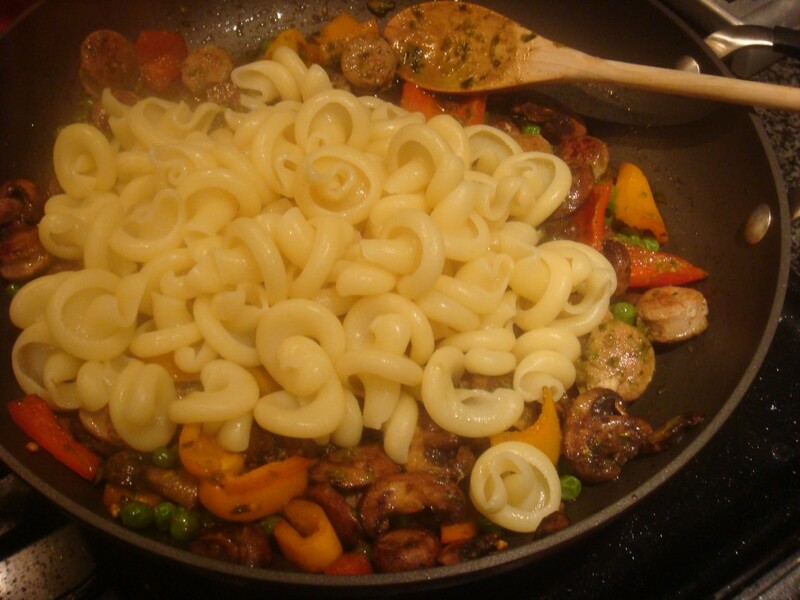 Add sausage along with 1/2 cup of starchy water from the pasta pot. Starchy water is a great trick when building sauces. First of all it helps less sauce stretch out over more food (which saves calories), and it also helps the sauce stick to the pasta so that all the flavors blend together well. Add about 1/2 cup of pesto and stir until the veggies and sausage are well covered. The pasta should be about done now. Drain it and add it directly to the large pan with the rest of the pesto. Mix until all ingredients are well incorporated and pesto is evenly distributed. This dish made 3 heaping servings. I just can’t get over how much I love bulking out pasta with veggies. 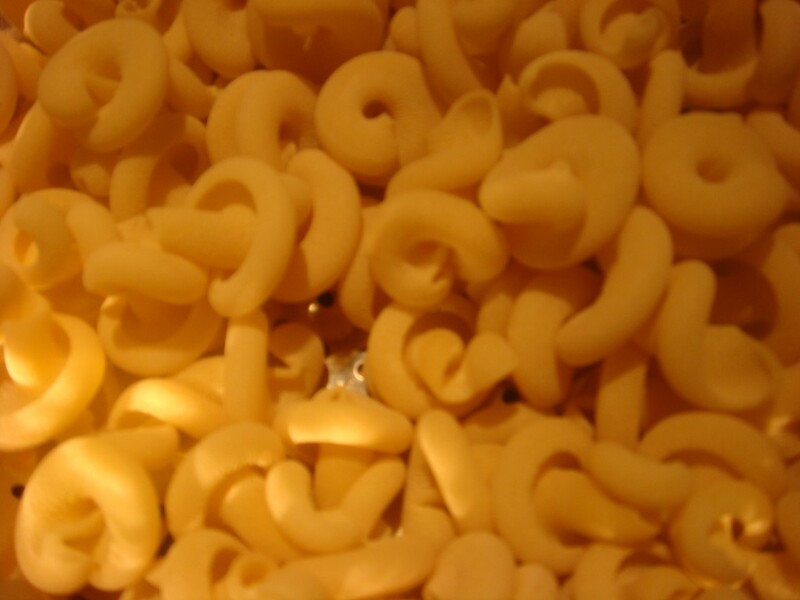 6 oz of dry pasta is not very much at all, but each serving is about 2 cups of food.